Modern Orthodox theological scholarship has not developed in a confessional vacuum; it has borrowed the language, methods, and problems of western scholarship from its very inception. The field of Patristics as we know it today is itself a discipline borrowed from the modern Christian West and even the much celebrated "Patristic Revivial" has its origins more in Catholic France than in the Orthodox East, whatever its later adoption first by Russian emigre theologians and then by the rest of the Orthodox world. 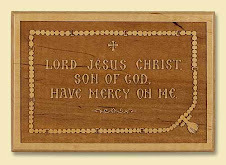 Any study of the Fathers today requires both close attention to the primary sources and a critical appraisal of the accompanying secondary literature in order to understand the lens through which particular Fathers are viewed and the key in which their theology is presented. It should come as no surprise and cause no particular scandal if a given Father has been "problematized." 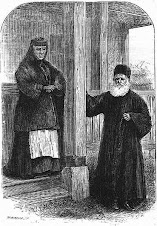 Even if Fr John Meyendorff went rather too far outside the boundaries of a traditional Orthodox reading of St Dionysius, his legacy may, in fact, be found in the very correction of his works by such scholars as Fathers John Romanides, Alexander Golitzin, and Andrew Louth (57), who have labored to reassert the Orthodoxy of the Dionysian corpus. Such is the way scholarship naturally advances. Be that as it may, I would agree that it is unfair to blame Dionysius for all the ills of the later development of Orthodox theology and liturgical piety for at least three reasons (58). First, because, as Frs Romanides and Golitzin both argue, this represents a misunderstanding of St Dionysius' works, dramatically underestimating its Christological dimensions. Second, St Dionysius is blamed for the manner in which later generations chose to read his works, while ignoring his traditional reception within the Orthodox Church. Finally, it assumes that his influence is due to the pseudonym, as if those Fathers who accepted his authority did so only because they believed that the author was St Paul's convert mentioned in the Book of Acts. Once his sub-apostolic identity was disproved, he could be exposed as a cheat. Fr John Meyendorff's analysis of St Dionysius remains problematic. His division between Dionysius' theology properly so-called and his system of hierarchies fractures the integrity of Dionysius' theological vision. Dionysius' transcendent theology and his hierarchy should not be separated: his very concern, I would argue, is to maintain God's transcendence while allowing His revelation to be mediated through hierarchy; the two are inseparable in Dionysius' vision. 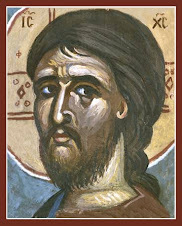 Fr Meyendorff's division between the static aspect (theology) and the dynamic (theugia) aspect of hierarchy likewise shatters Dionysius' soteriology. St Dionysius himself makes no such distinction: he writes that "The divine works (theurgia) are the consummation of the divine words (theologias) (59). Nor, as Fr Meyendorff contends, is Dionysius' structure devoid of the communal. The hierarchies, by their very nature, are communal: it is the members of the hierarchy who perfect and are perfected; to respond to God's love is to depend upon others. Finally, Fr Meyendorff overlooks the explicitly scriptural and exegetical nature of Dionysius' writings and dismisses both the Christological axis of the hierarchies and the incarnational basis of sacramental life. Fr John Romanides, for all his polemical bombast, correctly points out the difficulties in maintaining Fr Meyendorff's theory of Christological correctives. St Gregory Palamas himself was not aware of applying correctives to the Dionysian corpus and, more often than not, interpreted Dionysius more faithfully than did Barlaam. Fr Meyendorff's motivation in his reading of St Dionysius does indeed stem from his desire to rid Greek Patristic theology of the influence of Platonism while asserting the centrality of incarnational mysticism. In fact, if Romanides is right, Palamas was correcting Barlaam's neo-Platonic reading of Dionysius rather than correcting Dionysius himself. It follows that Fr Meyendorff should have singled out Barlaams reading of Dionysius rather than Dionysius himself for evidence of Platonism. 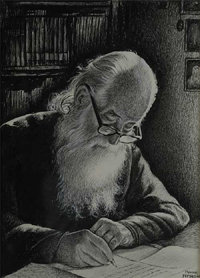 Hieromonk Alexander (Golitizin) has done much to rehabilitated St Dionysius in the world of Orthodox scholarship. His reconstruction of the scholarly controversies concerning St Dionysius and their importation to the Orthodox East is certainly convincing. One wonders, however, if his reading of Dionysius – one which he claims is that of the unbroken tradition of Eastern monasticism – is in fact the only one. Fr Alexander would certainly admit that no discreet "monastic theology" exists in the Orthodox Church. It is therefore troubling that he would insist that only a "monastic reading" of Dionysius is accurate: certainly a "correct" reading of Dionysius would be that of the Church as a whole, not that of exclusively monastic circles. Such a reading takes little account of St Dionysius very peculiarity. 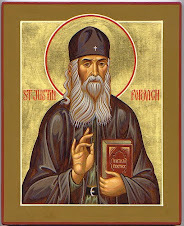 My own suggestion would be to adopt a reading of St Dionysius which takes into consideration his very real peculiarity, complexity, and difficulty, viewing him neither as a neo-Platonism impersonating a Christian, as would Fr Meyendorff, nor as a Christian impersonating a neo-Platonist, as would Vladimir Lossky, but rather as a Christian exegete writing works of liturgical mystagogy. The strangeness of his writings should not be exaggerated by pointing out its similarity with neo-Platonism, minimized by forcing it into a given scholar's projection or reconstruction of the patristic consensus, or confined to an esoteric realm of monastic wisdom. In any case, the lens through which St Dionysius is read needs to be periodically examined and, if necessary, cleansed or even changed. (57) The Origins of the Christian Mystical Tradition: From Plato to Denys (Oxford: Clarendon Paperbacks, 1981), 159-178; Denys the Areopagite (London and New York: Continuum, 1989). (58) I am indebted to Fr John Behr's lectures of St Dionysius for this paragraph. Very nice. Thank you, Father! My pleasure. Although, to be perfectly frank, my primary reason for dwelling on the Dionysian pseudo-problematics was in order to avoid having to write about the OSB. It seems that now I have no choice but to put my hand to the critical plow. Gird up thy loins now like a man! Incidentally, I enjoy your blog very much, and have added it to my webography. Any friend of the Fathers is a friend of mine! For the moment you can search topics by using the little box at the upper left-hand corner. Ah, I look forward to seeing the developments! And thank you for your comment and the link.